The helicopter which crashed killing Leicester City's chairman and four others spun out of control after a mechanism became disconnected, investigators said. 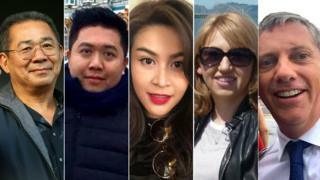 Leicester City chairman Vichai Srivaddhanaprabha, two members of his staff - Nusara Suknamai and Kaveporn Punpare - and pilots Eric Swaffer and Izabela Roza Lechowicz were killed in the crash. 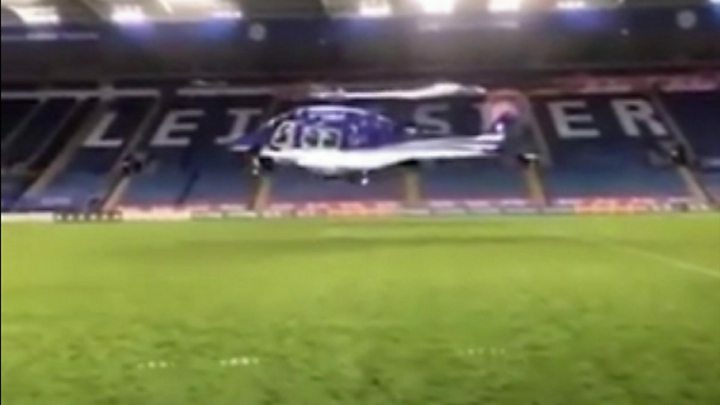 Widely shared video footage of the helicopter's last flight, taken from inside the King Power Stadium, shows the AgustaWestland AW169 climbing normally for about 40 seconds before it pauses and goes into a downward spin. At the memorial service for the pilots in Guildford, Ms Lechowicz's sister Kate paid tribute to the pair saying "they were just an incredible couple and amazing pilots". "[They were] always there for their family and friends, ready to fly across the globe to be with us or anyone who would need it," she said. She said both had been excited at the prospect of becoming aunt and uncle to her son, who is now 18 days old. She said: "I wish you could meet each other. We have already applied for his passport, as you wished, so he can fly before he walks. "You have touched the lives of every single person you have met... I know I am not alone in feeling a part of me is missing that never can be replaced."